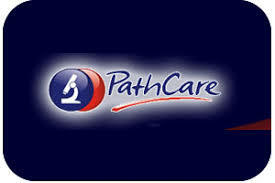 PathCare is a people-focused, technology-driven laboratory testing service whose core purpose is to optimise patient care through excellence in pathology services. If you are passionate about patient care, we are seeking individuals who understand and support our core purpose to join the PathCare family. The Medical Laboratory Technician programme is a two-year programme in which suitable candidates from within and outside of PathCare are recruited to undergo training to become Qualified Medical Laboratory Technicians in Clinical Pathology or Histology While South Africa is experiencing a shortage of qualified medical technologists, this qualification is one means to help bridge the gap. The programme is run along similar lines to a learnership in which the students have theory and practical study in training rooms and rotations through various laboratories for practical work respectively. The subjects studied by those students wanting to become Clinical Pathology Technicians are Anatomy and Physiology, Safety in the Laboratory, Medical Ethics, Chemical Pathology, Haematology and Microbiology. Histology is also studied by those interested in qualifying as Histology Technicians. The students also undergo training in using Laboratory Information System, Meditech. The trainers and supervisors are all qualified registered medical practitioners. The learnership consists of a structured learning component (theory) as well as work place experience (practical). Learners are taught anatomy and physiology, medical ethics, laboratory safety (including HIV infection prevention), and how to safely collect blood and non blood specimens for medical pathology and blood transfusion purposes. Registered phlebotomy technicians are equipped, through the knowledge and skills gained, to safely collect blood and other human tissue samples for medical pathology or blood transfusion purposes. These samples aid in the prevention, diagnosis, treatment and monitoring of disease and disease processes in the body. Phlebotomy Technician Learnership (grade 12 pass with maths or maths literacy and biology) or equivalent. Work shifts and after hours as required. Highest scoring candidates on the above will be invited to attend panel interviews. It is specifically brought to the attention of interested persons that only those candidates who fully comply with the application instructions, score the highest in the competitive testing and interview processes, and who are deemed most suitable will be selected. Individuals who meet the criteria and are interested in applying for a place on these programmes should print and complete the application form (download here).